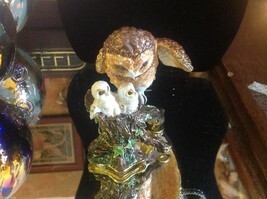 Beautiful owl mom and babies in the nest . Little enamel compartment opens up to store little favorite treasures, earrings, rings, etc. 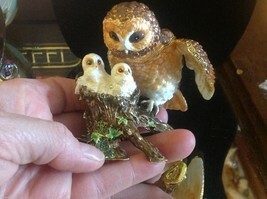 See our other enamel trinket boxes in our store. 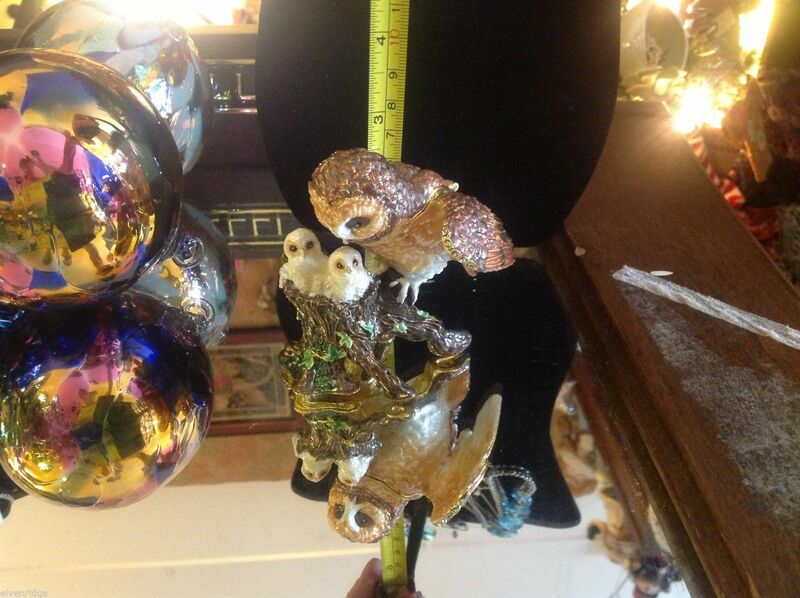 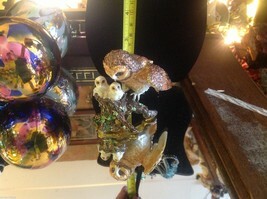 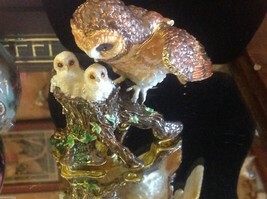 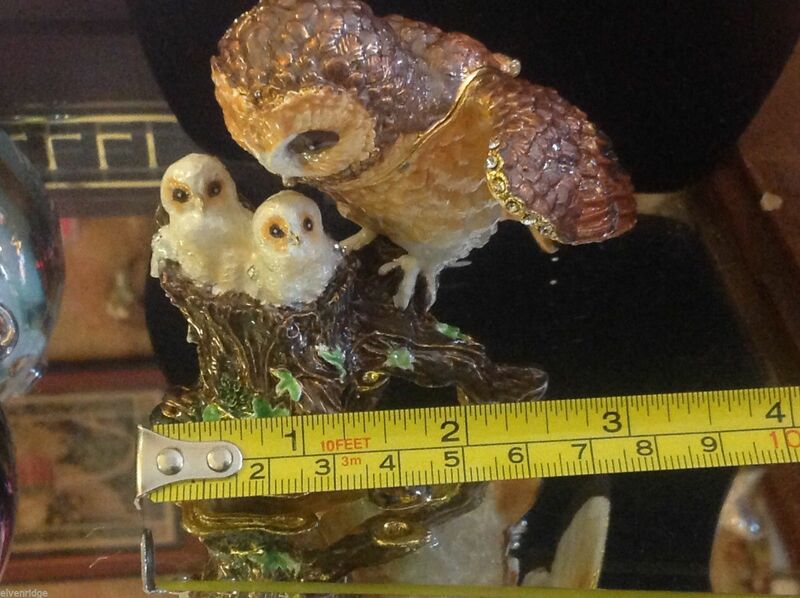 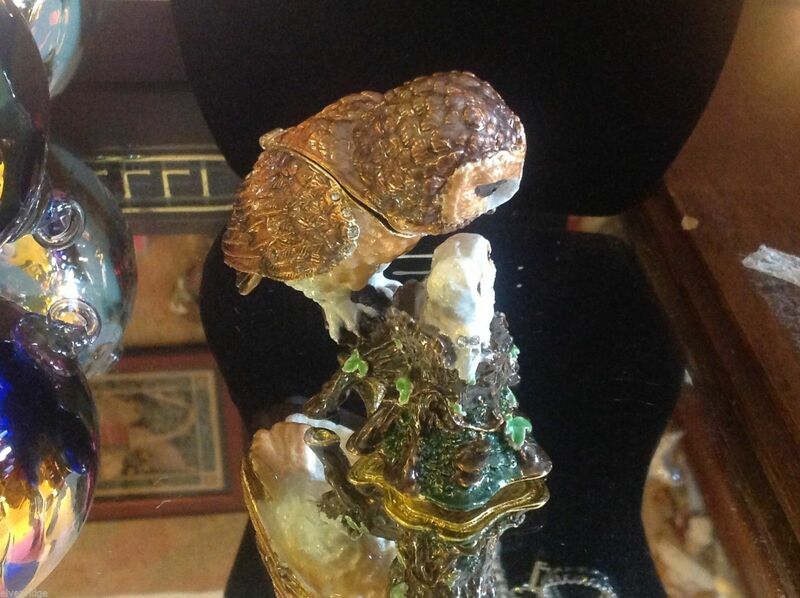 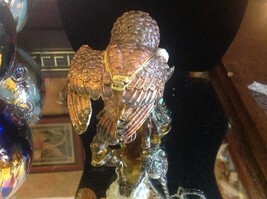 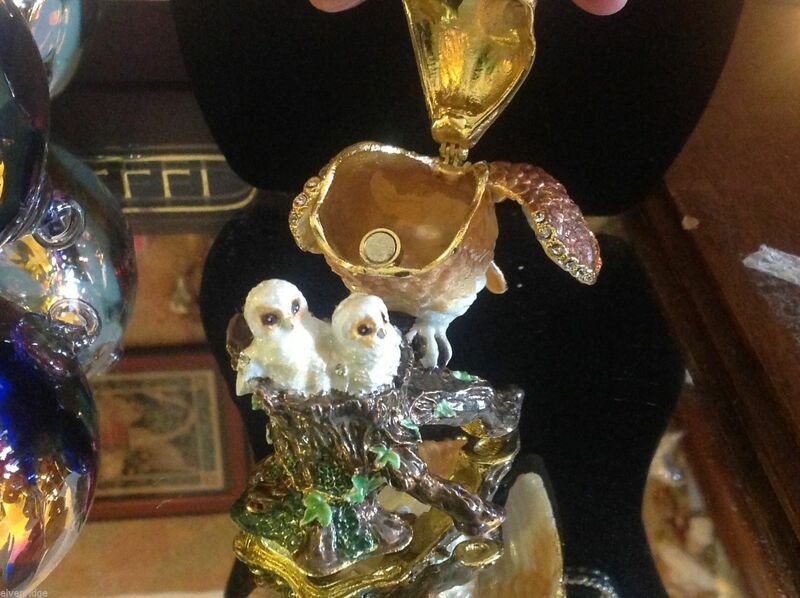 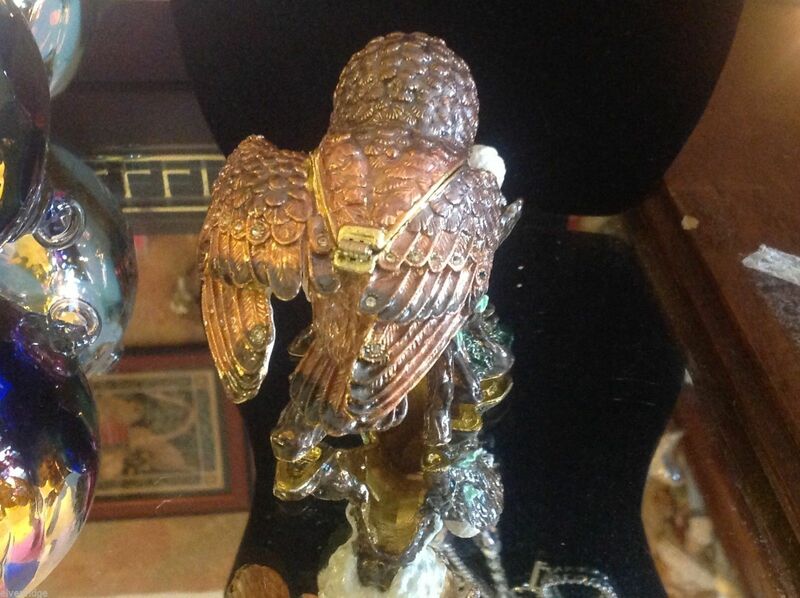 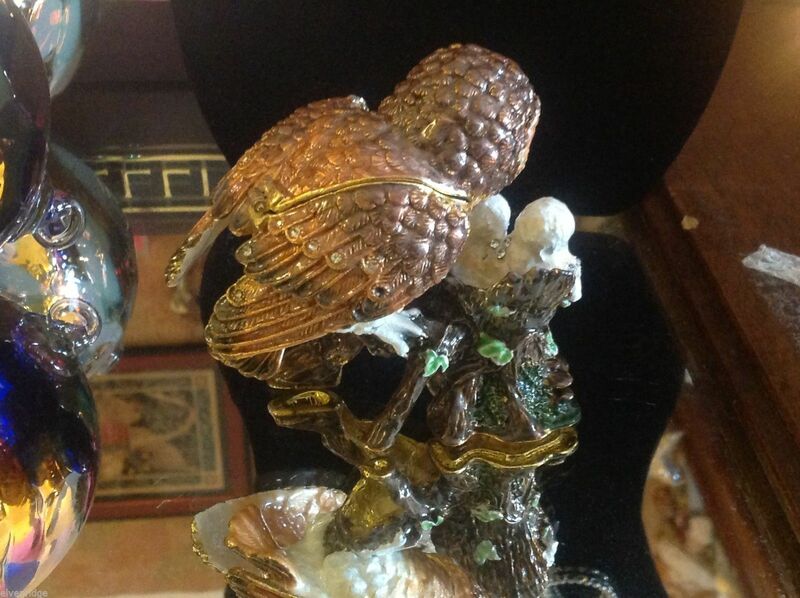 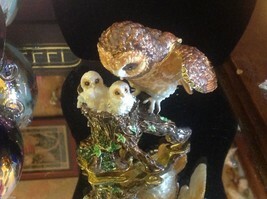 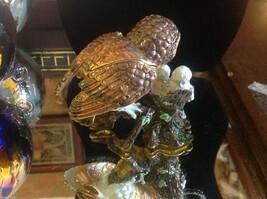 For the owl fan, it doesn't get more exquisite than this gorgeous piece. See photo with tape measure for sizing reference.